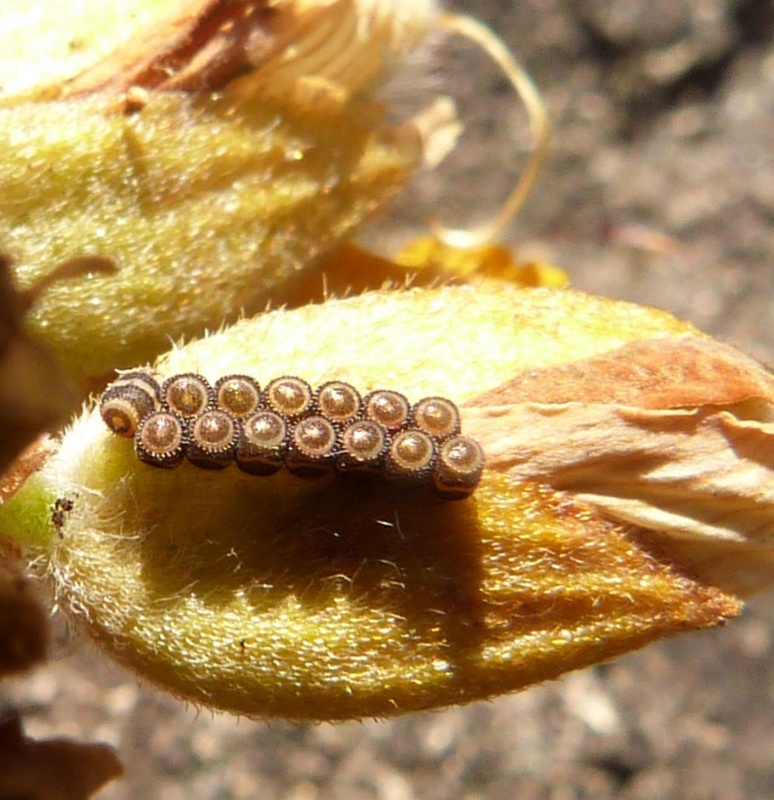 Length 10-13 mm. 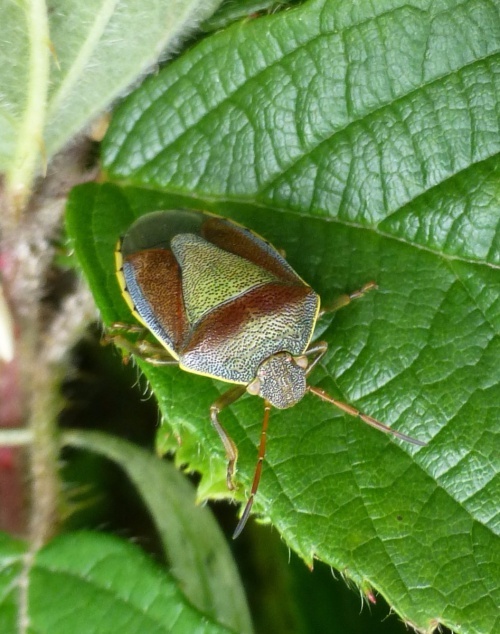 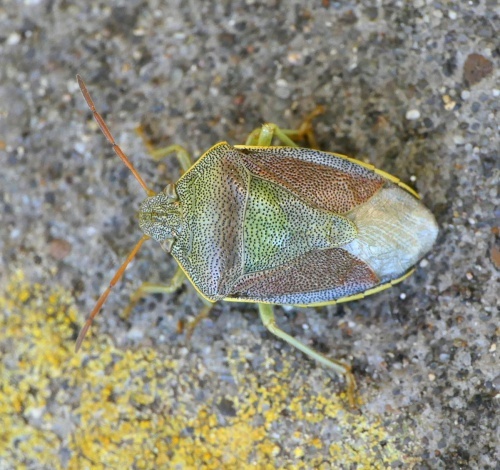 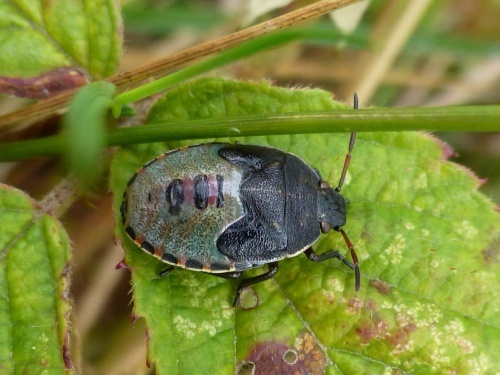 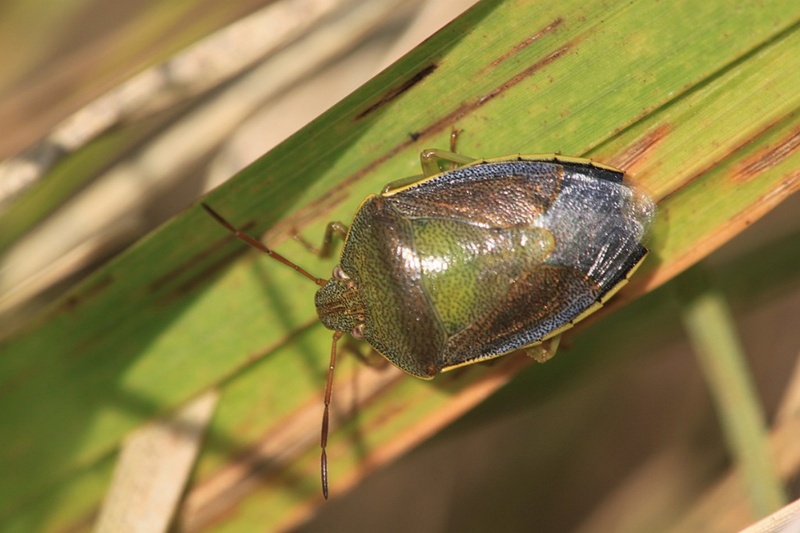 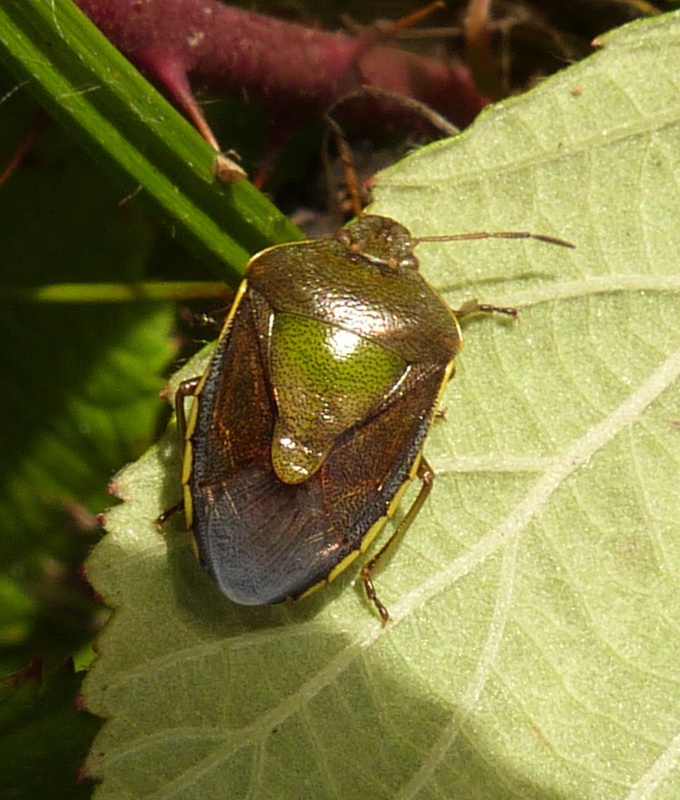 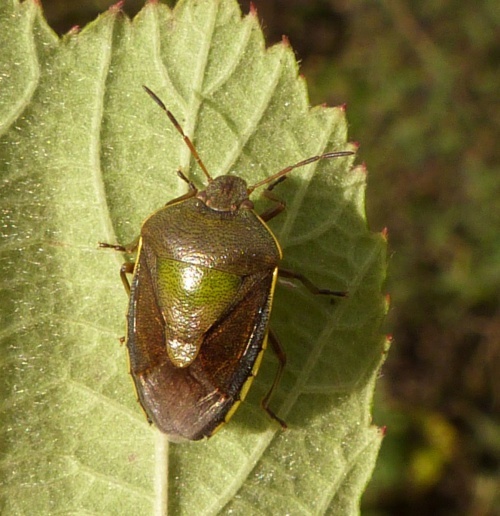 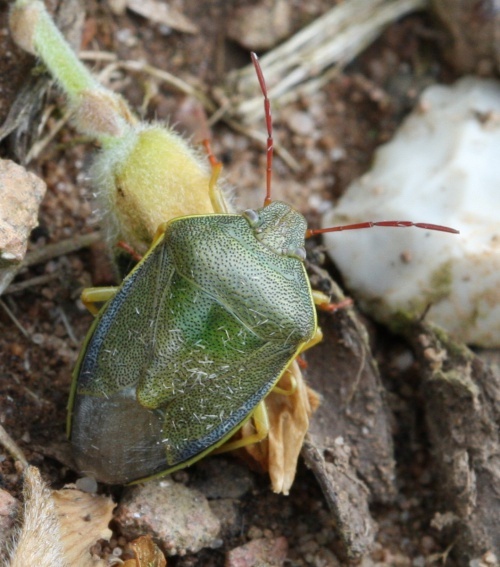 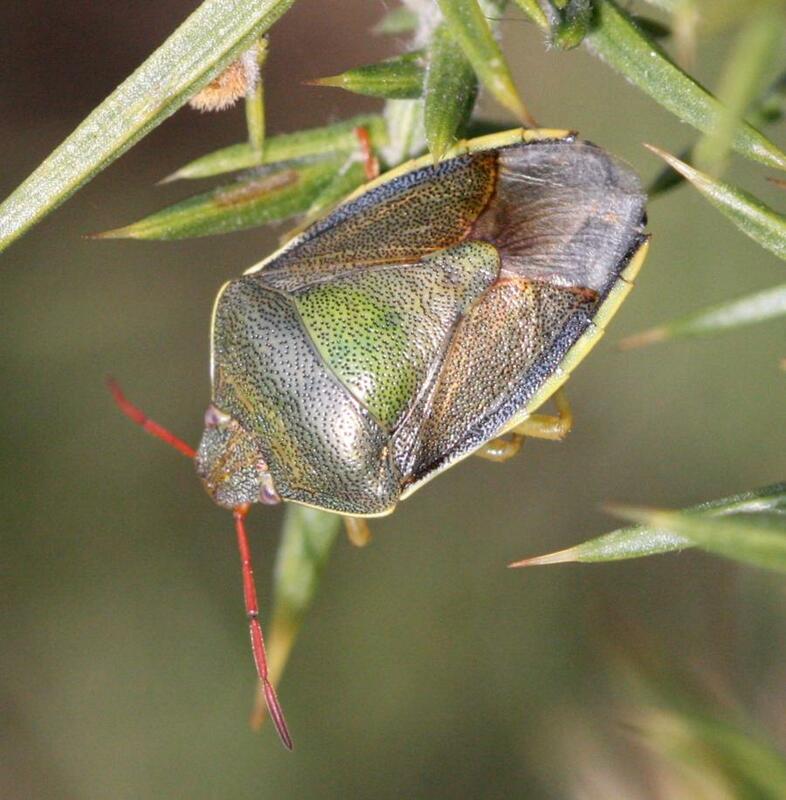 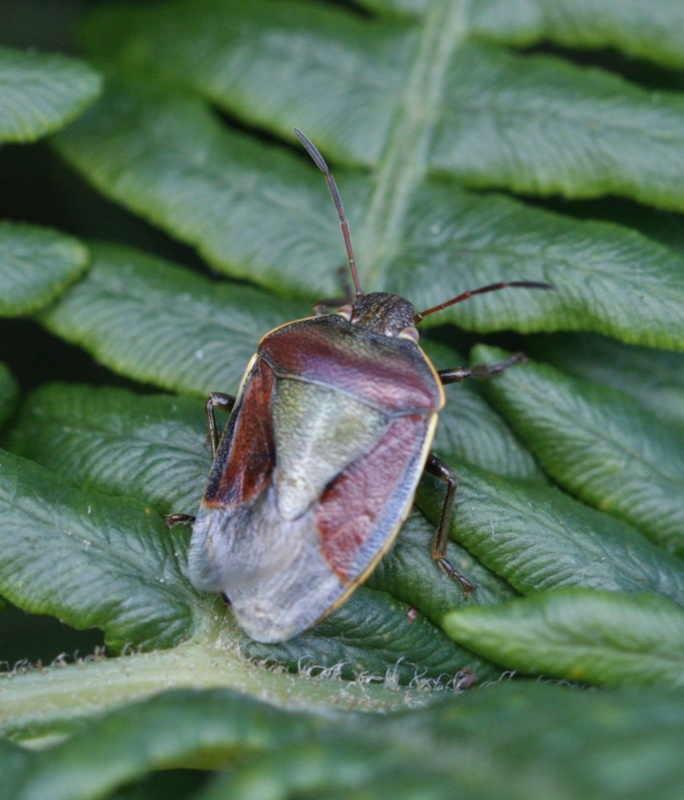 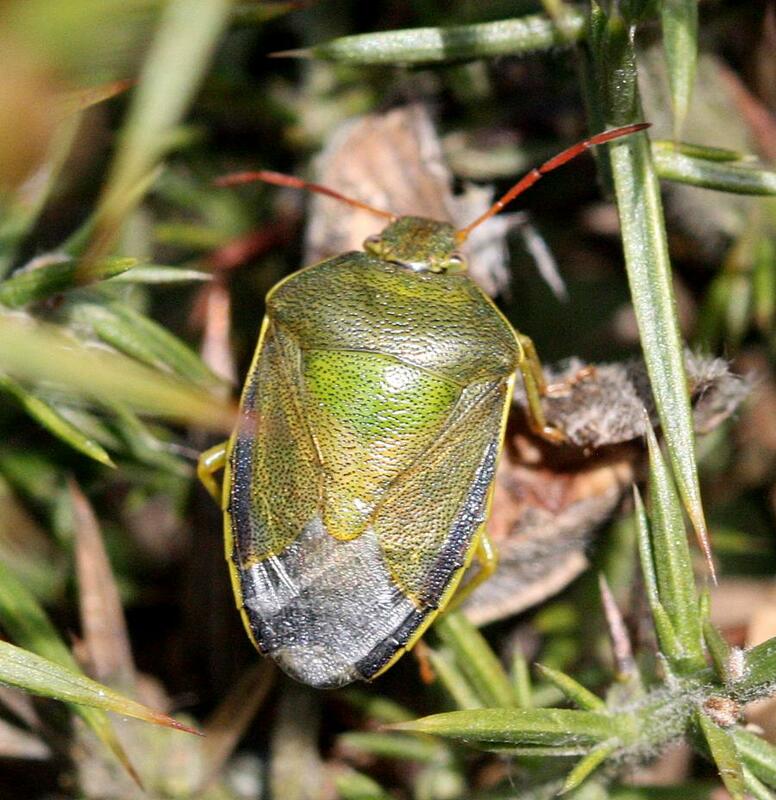 A large shieldbug with two adult colour forms which are related to sexual maturity. Those emerging and mating in the spring are predominantly green, whereas the new generation appearing in the late summer have purple-red markings on the pronotum and corium. 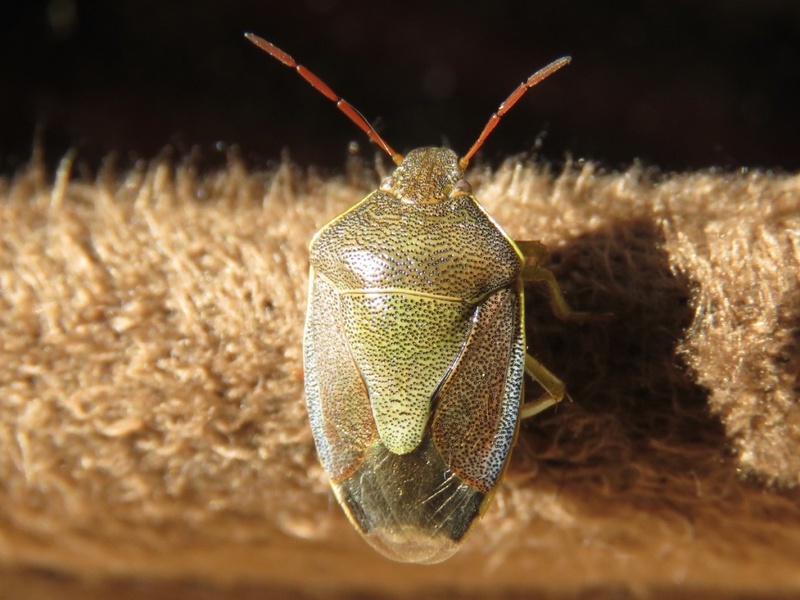 As in many other shieldbugs, this species frequently becomes darker prior to hibernation. 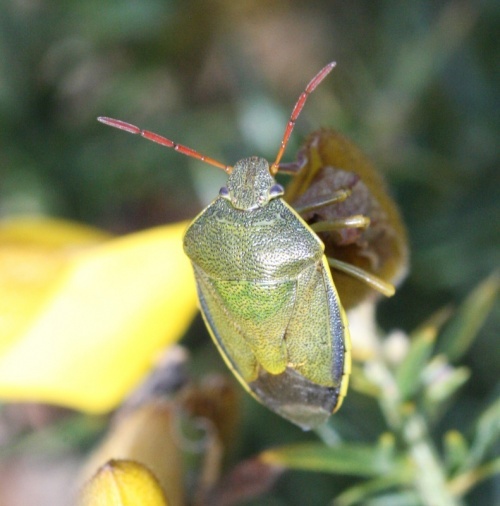 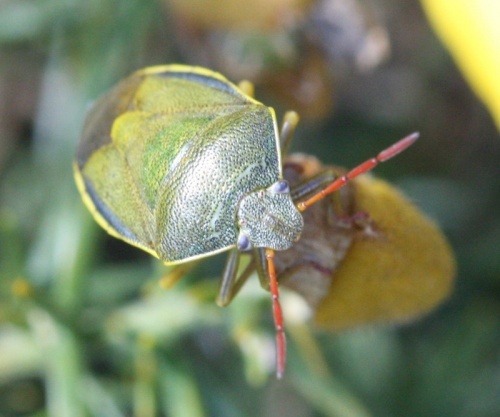 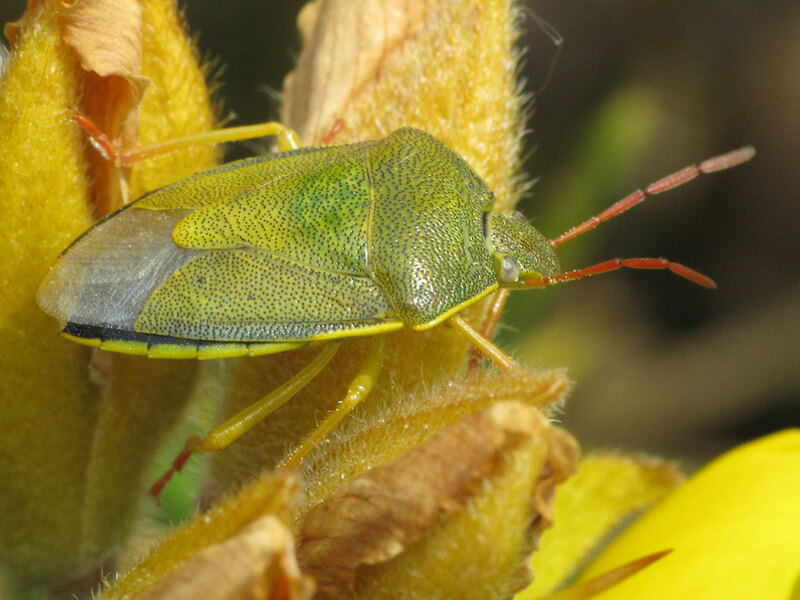 Whilst it could be confused with the Green Shieldbug, the habitat (Gorse) is usually diagnostic, plus the red antennae. 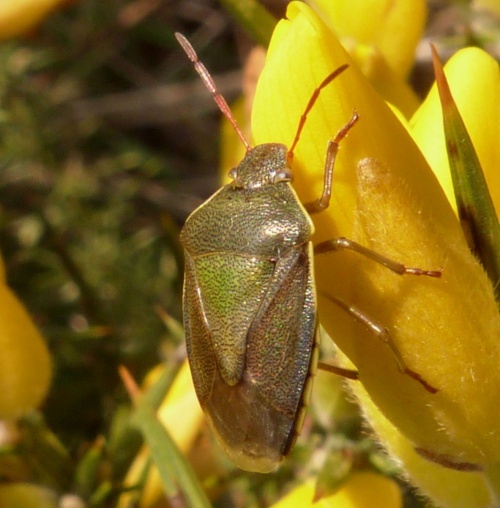 Habitats where Gorse is present. Although often associated with Gorse, larvae also feed on Broom, Weld and other plants in the Genisteae family, and have also been found on Laburnum and Clovers.